I came to a realization this week. 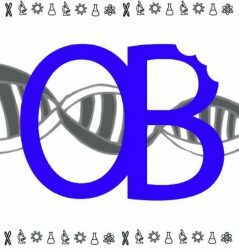 Here at OncoBites, we made a cancer research blog and then… forgot to tell our readers what cancer is. And I know, most of you reading are thinking “I know what cancer is!” because you read about it all the time. And maybe, if you’re a cancer researcher, or a biology student, or you did a lot of reading when cancer first touched your life–because cancer has touched most of our lives, by now–maybe you do have a good idea of what cancer is. But maybe you just have a vague sense of what cancer is, and we jumped in telling you that the bacteria in your gut can affect its treatment, or the proteins in your tumor can change it, and you thought… wait, what proteins are in tumors? How do bacteria play a role? What’s really going on there? And for that, I apologize. Mea culpa. We owe you an explanation of what cancer really is, and why it’s so hard to treat, before we get any farther into all the amazing ways scientists are trying to cure it. Because it’s complicated, and messy, and it really does require some truly fascinating work. So, to begin, let’s talk about how we first get tumors. Morgan, rightly, went back and explained some of the risk factors around us that cause cancer, and how we can avoid them. You should check that out. But we also have to touch on how those risk factors cause cancer. Cancers arise due to mutations in certain genes–I say certain, because not all mutations will cause cancer. Genes replicate all the time, and sometimes mistakes are made. Mistakes can happen naturally, or they can be the cause of a mutagen, an outside force that acts on a cell and produces a mutation. Mutagens can be UV rays from the sun, alcohol, chemicals in charred meat, etc. Most of the time, mutations are repaired, but sometimes they are not, and sometimes the uncorrected mistakes are even passed on to offspring. Sometime early in history, a mutation changed eye color in some from brown to blue, and gave eye doctors the chance to admonish me on wearing sunglasses at all times to protect my pale eyes (thanks, genes!). But some mutations, especially those in the cellular mechanisms that control how we fix errors in our DNA, or how cells decide to grow or stop growing, can lead to cancer. If a cell accumulates errors in these pathways, the begin to grow uncontrollably, and accumulate more mutations because they can’t fix them, and then you have a cancer cell, and that cell seeds a tumor. immune system. Tumors are dynamic, with many groups of cells working together in a soup of proteins and fibers (called the microenvironment) to stay alive at all costs. 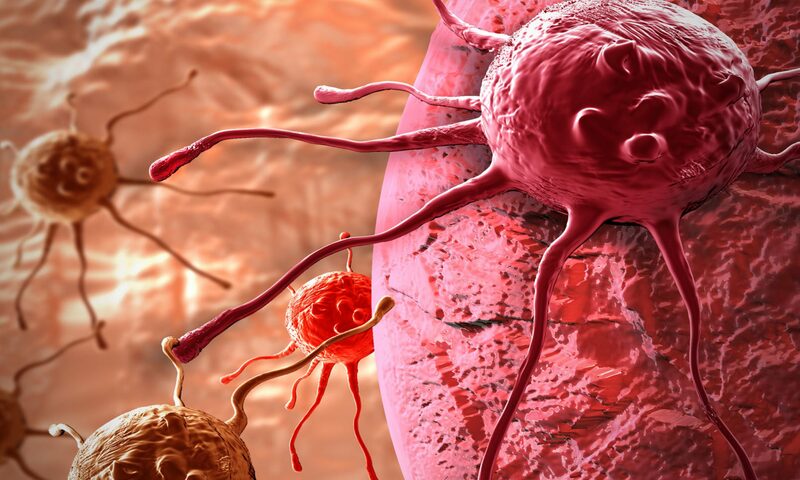 If the immune system does make it all the way into the tumor, past all the signals telling it to turn back and past the walls of fibers, the cancer cells still have one trick up their sleeve, and it works very well. Your immune system is good at telling the difference between your cells and other cells (this is why the risk of rejection after organ transplant is so high), but if it ever makes a mistake, cells have a protein on their surface, Programmed Death Ligand-1 (PD-L1) that binds with its partner, Programmed Cell Death Protein 1 (PD-1), on immune cells (specifically T cells) and inhibits immune cells so they do not kill the cell. Unfortunately, tumors use this signal to further suppress the body’s ability to fight cancer and continue to grow. (One of the most exciting recent discoveries in cancer therapy has been the advent of checkpoint inhibitors, which block this PD-1/PD-L1 signaling and similar pathways and keep cancer cells from evading the immune system in that way.) Essentially, cancer cells find ways to make your body turn on itself to keep them alive, because that’s what all living things do–they fight to live. And they’re very good at it, because they aren’t spending energy making sure they’re growing right, or repairing their DNA, or ensuring they have enough food. They aren’t even staying in one place–most tumors become the most deadly when they metastasize, or send some cells to go grow in your other organs. And that makes it very hard for scientists to kill a rogue section of your cells without killing you. Cancer isn’t an infection, where bacteria get inside and it’s fairly easy to tell one from the other. Cancer is when your body turns on you, and science does not have a way to safely end that civil war at this time. Worse still, each individual tumor is different, based on the organ it started in, what mutagens caused it, the environment of the body it grew in, the treatments it encounters–no tumors are completely alike. In some, more macrophages are bad for you. In some, they’re good. Some let lots of T cells (the cells that kill tumor cells or infections) in without additional treatment; some have barely any. None of this is to say that we are without hope. Scientists and clinicians are getting better every day at recognizing the weaknesses in tumors. We’re getting better at testing tumors and choosing treatments that are best suited for certain tumors based on what kinds of cells are in the tumor, or what mutations the tumor cells carry. Treatments are getting smarter as we learn more about how these tumors operate. There probably won’t be one single cure for cancer, because “cancer” is a word we use for hundreds and thousands of unique diseases with a few unifying similarities. But there will be leaps towards cures. And here at OncoBites, we’re going to tell you about them. © NIH Image Gallery: Breast Tumor Microenvironment. Previous PostPrevious Cancer – how much of it is preventable?